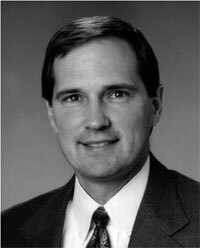 John Riggins, founder and President of The Riggins Group, brings almost 30 years of merging technology with market needs. As Marketing Services Director for Acxiom Corporation, a global information management firm, John led its digital marketing strategy, including the redesign of Acxiom’s next generation web site and its e-marketing platform. John also was responsible for driving profitability for a wide portfolio of products, launched a ground breaking financial services product, and retired old products profitably. Before joining Acxiom, John led market research and market management functions for Entergy Corporation, one of the country’s largest energy providers. John teaches marketing strategy at the University of Arkansas at Little Rock where he leads students in the common sense application of marketing concepts. John is a founding member of the STAR Network, an advisory service for the University of Arkansas for Medical Sciences’ BioVentures facility. John also serves as an advisor to Hancock Technology Partners, an online search platform provider based in Southern California. John earned an MBA from the University of New Orleans and a B.S. in Civil Engineering from Mississippi State University. He has also participated in executive marketing courses at Columbia University and the University of Michigan.